MoraBanc Andorra’s Andrew Albicy is the first MVP of the 7DAYS EuroCup Top 16 stage. 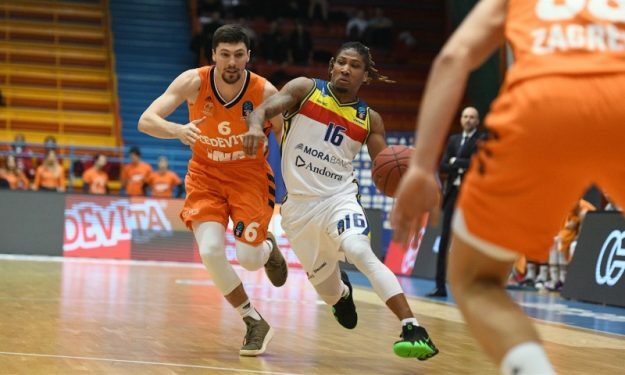 Andrew Albicy led Andorra to the win over Cedevita Zagreb scoring a career-high 22 points. He added eight assists and four steals to his tally. He finished up with a 37 performance index rating on the road. The 28-year-old French point guard got the highest PIR among all players of the EuroCup Top 16 Round 1 winnings teams, which brought him the MVP title, the first one for an Andorra player in the competition.